The American College of Medical Toxicology will sponsor the Addiction Medicine Academy in Clearwater, Florida on March 26, 2015. This day-long conference will address current clinical treatments and challenges, as well as legal, policy, and administrative issues relevant to the management of patients with drug addiction. The American College of Medical Toxicology will sponsor the Addiction Medicine Academy in Clearwater, Florida on March 26, 2015. This educational conference is intended for physicians and other health care providers who encounter patients with substance use disorders in their clinical practice. Substance use disorders represent an increasingly important topic in the practice of medical toxicology, as highlighted by the rise of heroin and prescription opioid abuse, concerns over electronic cigarettes, and legalized recreational marijuana. Topics will include reviews of specific therapies used in the treatment of substance abuse, examination of challenges encountered with this special population, and discussions of legal, policy, and administration issues relevant to the clinical practice of addiction medicine. The conference will begin with a presentation by Eliot L. Gardner, PhD, on the physiological basis of craving, relapse, and addiction. Dr. Gardner is the Chief of the Neuropsychopharmacology Section Intramural Research Program at the National Institute on Drug Abuse in Baltimore, MD. Petros Levounis, MD, Chair of the Department of Psychiatry at Rutgers New Jersey Medical School in Newark, NJ will discuss how an understanding of the neurological basis of addiction can be translated into the clinical approach for treatment of addiction. The Addiction Medicine Academy will take place a day before the start of ACMT’s Annual Scientific Meeting, entitled “Toxicoprevention: Good Intentions, Important Advances, and Unintended Consequences.” The Annual Scientific Meeting will be held at the Hilton Clearwater Beach in Clearwater, Florida from March 27th to 29th. ACMT is a professional, non-profit association of physicians with recognized expertise in medical toxicology. 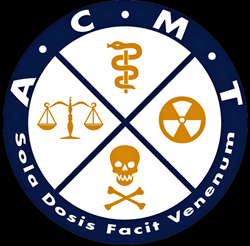 The ACMT mission is to advance quality care of poisoned patients and public health through physicians who specialize in consultative, emergency, environmental, forensic, and occupational toxicology. For more information, visit http://www.acmt.net, or follow on Twitter @acmt.